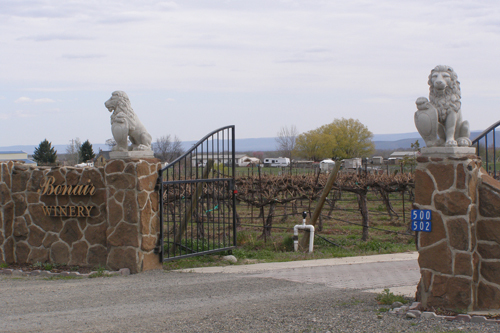 I left the Seattle area for my first major Washington wine country – Yakima. It was a few hours away and it was decided I would take a short flight on Alaska Airlines so I could be there in time for the horseback riding tour. Katie Heaverlo, Director of Tourism for Yakima Valley, picked me up at the airport and we were quickly on our way between the mountains, following the Yakima River into the valley. 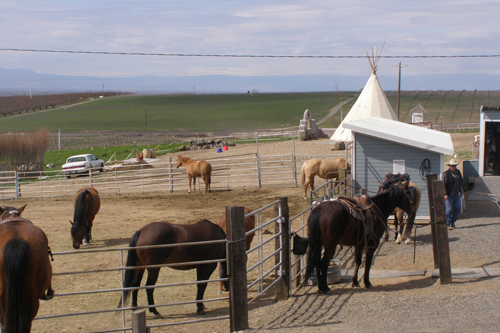 When I was first approached with staying in a teepee and going wine tasting by horseback, I wasn’t sure if the PR agent was joking. I soon realized she was serious and agreed to give it a try. The teepee wasn’t available for the night, but the horseback riding would work in the schedule. I arrived at Cherry Wood Bed, Breakfast and Barn in Zillah to meet wrangler/owner Pepper Fewel and take a quick tour around the teepees (which are soon to have their own built in spa, under the support of the Ummelina brand) before meeting up with the tour group. It was to be all women, who were spending the weekend celebrating a bachelorette party for bride-to-be Meg, and we were all outfitted by Pepper in cowboy hats and boots. Before I go any further, I need to make a full disclosure: I did not stay on the horse for very long. 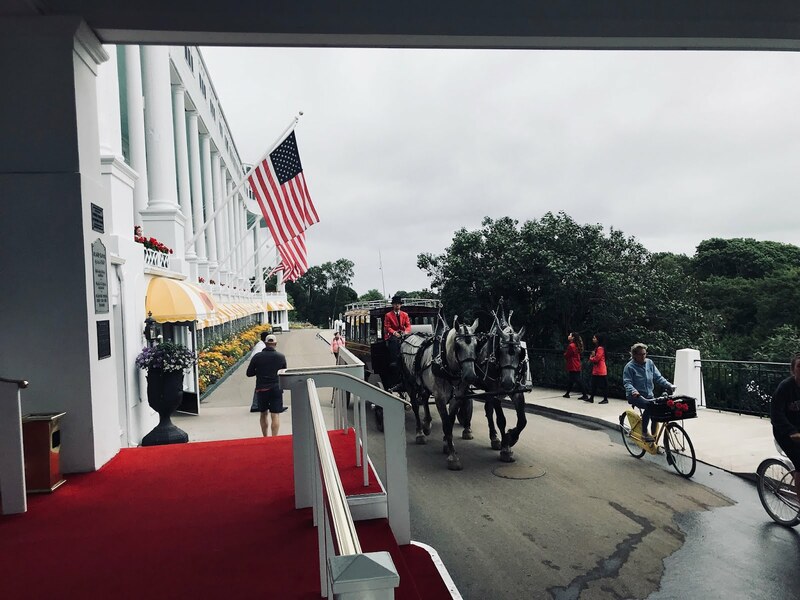 The idea was originally presented to me as a shorter tour with just a few minutes between wineries, but it turned out it was going to be a lot more. Had I been on vacation, I would have loved to join the bachelorette party for a day of riding (and carousing). 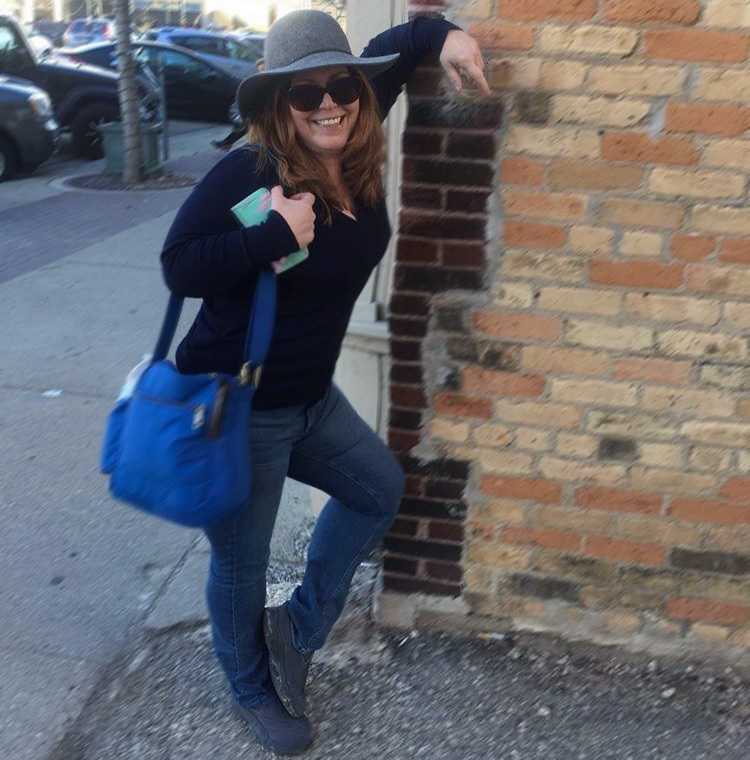 I was instead “working,” which consists of trying a lot of wines, taking a lot of notes, speaking with a lot of winery owners and, most important of all, being able to get up the next day and do it again! I didn’t say on the horse, but I did follow the path of the tour, which went through just a few of the valley’s 70 plus wineries. 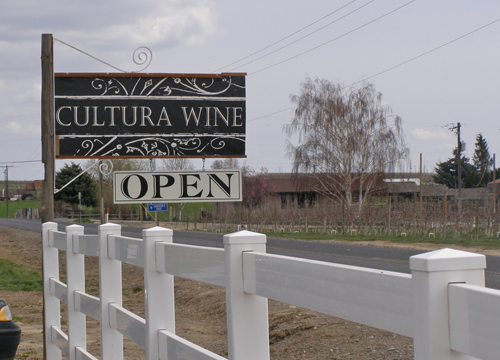 The first stop was at Cultura where Tad and Sarah Fewell (Pepper’s son and daughter-in-law) have created some wines worth remembering. This winery had two things against it as far as my personal preferences go. First, according to Sarah, they “run with what we do best – all reds, all the time.” Second, they believe in a long oaking which translated to 31 months for all of their ’08 wines. Despite this, I found two that I really enjoyed. The 2007 Kairos, an equal blend of merlot and cabernet franc, was full of complex fruit and a cinnamon spice rather than picking up the wood. I also thought the 2007 Chronos (45% cabernet sauvignon, 45% cabernet franc and 10% merlot) was even fruitier, with just a hint of spice. 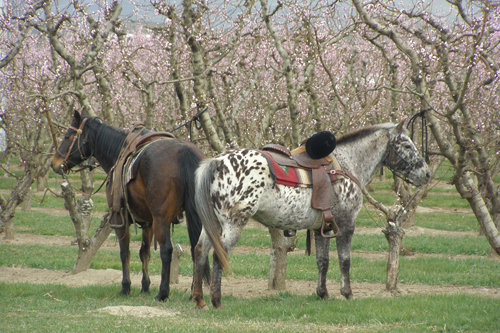 In only their third season, I think the Fewells are getting it right, and the abundance of peach and apricot trees on the property are certainly helping (and the horses agreed). 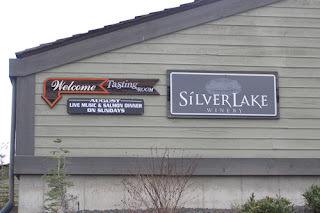 After the bachelorette group and I enjoyed a chicken salad lunch, it was off to Silver Lake Winery where there was quite an impressive collection of wines, offering something for just about everyone. I was immediately intrigued by the Girly Girl Wines, a collection developed not just to attract women, but to help them, as a donation to help breast cancer is given with ever purchase. Not only are these wines charitable, but they are delicious. I absolutely loved the 2008 Girly Girl Pinot Gris, with tropical overtones, a bit of minerality and a lot of peach to go with the pineapple. The 2008 Girly Girl Chardonnay, an unoaked version, was also great, with the buttery vanilla taste of a chardonnay, while keeping the lemon zest you have when you don’t keep it in wood. Another find at Silverlake was the 2008 Roza Rose, with lots of strawberry and red fruits in a semi-sweet wine. I have to say there wines – at under $20 – are well worth stocking up on. The group then stopped at Agate Field Vineyard, a boutique winery that only produces estate wines. I could see how their 2006 La Moisson Red was a top seller, with cabernet sauvignon and franc, and the nose of fresh raspberry with some allspice on top. The 2007 Cabernet Franc, which was aged in only 30% new oak, was also very good. We left the girls on the trail and headed over to Bonair. I was quite impressed with what looked like a European chateau. Shirley Puryear, who owns the winery with husband Gail, treated us like we were neighbors when we came in to see what she had and we were in for some shockers, starting with the 2008 Dry Gewurztraminer. 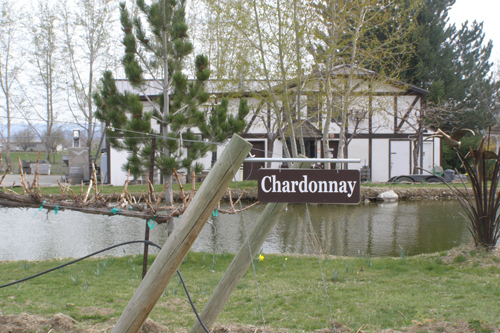 Gewurztraminer isn’t exactly a popular grape in Washington to begin with, but a dry one? I have to say that it didn’t work for me. The light pineapple, peach and floral belongs in a sweeter wine. I did find some other wines here that left an impression. The Bung Dog Red, an inexpensive blend of five grapes, was fruity and light, and the Sunset Pink, a mix of Riesling and cabernet sauvignon, was a cross between a rose and a white zinfandel – very fruity, but not too sweet. After a day of wine tasting, Katie and I settled in downtown Yakima at Santiago for a great tamale dinner before I retired at the Hilton Garden Inn down the block. I had yet another big day ahead of me, but it would get started right -- at the Ummelina Spa.